Enter to win a complete skincare system from METRIN. The contest is now closed. 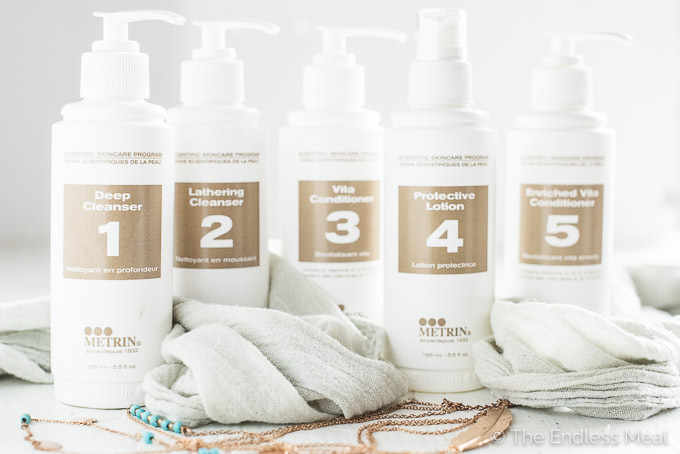 Congratulations to Kristen M. on winning a complete METRIN Scientific Skincare line worth $152! Thanks to all who entered. For a company that has as much fun as they do, one thing METRIN Skincare takes seriously is its product line. It’s been nearly three months since I got my hands on their system, so I think it’s a good time to chat with you about the results so far. Skin feels immediately firmer after application. Smoother skin makes make-up application a breeze. The best part? Using the system is quick and easy! METRIN’s skincare system is gentle enough that it doesn’t aggravate and is safe (and intended) to be used both in the morning and in the evening. 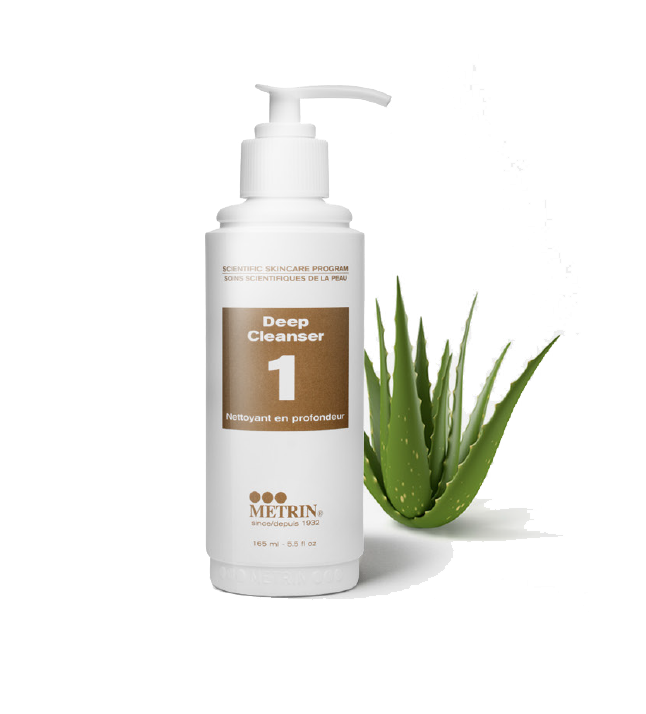 METRIN’s five-step system is designed to radically overhaul the traditional skincare routine while keeping your skin clear, healthy, and reducing undesirable skin conditions (like aging, spots, and scarring). 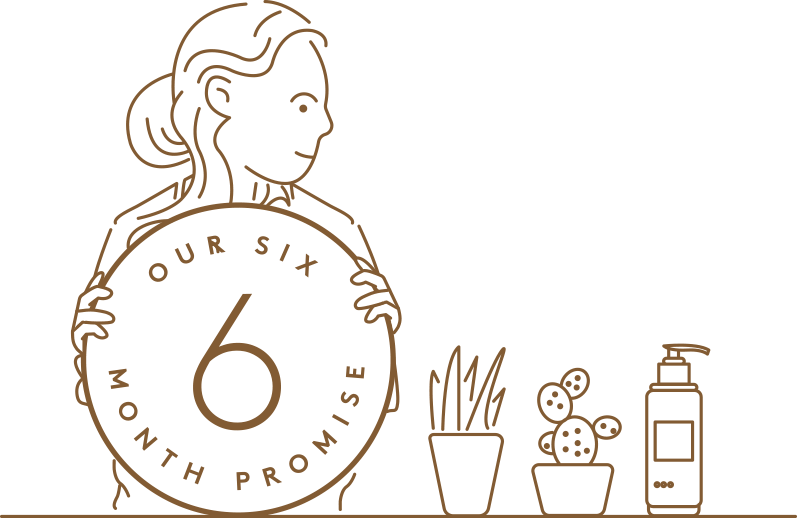 They’ve developed a six-month guarantee so that, even if you’ve used every last drop of the product and still aren’t happy with the results, they’ll fully refund your money. I can stand behind a company that stands behind their product. The biggest complaint most people have about skincare products often sounds something like “my skin is too ______________ so trust me, it won’t work!” But the reality is that it’s not you, it’s them! Secondly, don’t just take my word for it! You can purchase complete skincare lines customized for men and women on METRIN’s website. However, as they did when I first linked up with METRIN, they’ve agreed to once again give away a complete skincare system to one of my readers! Want to win it? There are two ways to enter! 2. Leave a comment below and tell me the numero uno skincare concern you’d like to tackle with a METRIN Scientific Skincare system. The contest ends at 12:00 PM PST on July 12, 2016. Good luck! I was not paid to write this post but my METRIN skincare system was complimentary. The views and opinions expressed in this post are entirely my own. METRIN can help with that! I keep breaking out and I think it’s time for a new skincare routine. Would love to try Metrin. It’s a very gentle system, perfect for breakout-prone skin! One of the great things about this line is that it really helps minimize undesirable skin conditions like rosacea and wrinkles. METRIN definitely doesn’t leave your skin dry! Hi Megan! <3 And yes... I totally know what you mean about those wrinkles that are starting to creep up. Yes! I still deal with them on the jawline and METRIN is awesome for delivering a comprehensive system. Too oily and too dry at the same time. It’s so hard to find a great product line that helps with both. I hear you, Amy! <3 An oily T-zone has been the bane of my existence! I hear you! It’s so strange how our skin seems to change over time. I would LOVE to tackle dry / flaky skin – loved reading up about this product and your experience. Thanks for reading, Coral! I often struggle with flaky/dry skin in the winter, so I feel your pain! Ugh – me too! But I can attest to the fact that METRIN is designed to tackle adult acne with no mercy!